Celebrate beautifully. While birthstone earrings make a lovely gift for those celebrating a birthday, these genuine garnet earrings will be cherished all year long–no matter when your birthday is. Handcrafted in your choice of birthstones and metal. Hand-Made in Steamboat Springs, Colorado. Up the eye-candy. 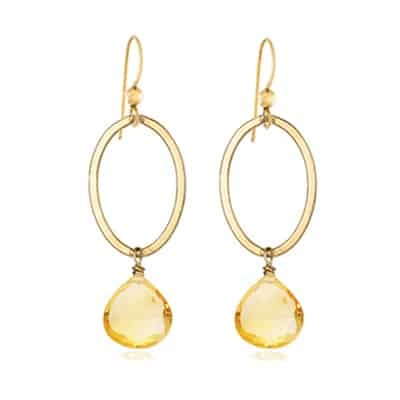 When you want more than just a plain hoop, reach for these birthstone earrings. Simple yet special, they lend a welcome element of sparkle to your ensemble. Glistening birthstones hang from an eye-catching oval ring to catch the light as you move. 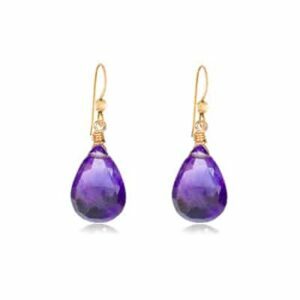 Choose from 14K gold or sterling silver, plus your choice of natural gemstones.